Home » The Biggest Loser » The Biggest Loser: Who's Really Winning? The Biggest Loser: Who's Really Winning? This week's guest post for Pop Health was written by Elana Premack Sandler, LCSW, MPH. Elana writes a popular blog for Psychology Today called, "Promoting Hope, Preventing Suicide". Written from both personal and professional perspectives, her blog explores suicide prevention, intervention, and postvention. Often using current events as a starting point, the blog poses questions about what could be done better or differently, what contributions research can make to practice, and challenges and opportunities inherent in new technologies. Elana earned a Master of Social Work and a Master of Public Health at Boston University and is a licensed social worker in the Commonwealth of Massachusetts. It’s true - I systematically avoid watching one of the most popular reality TV shows in history. What seems to have drawn in viewers is what bothers me so much about most reality TV. It’s like a car wreck you can’t stop staring at, even though you know it’s a tragedy. But watching a car wreck is watching an accident, something that wasn’t designed for an audience. With an accident, there’s something very human about wanting to see what’s happened, wanting to know if everyone’s okay. The few times I watched (I kept trying - people I love and trust told me it was such a good show! ), I just wasn’t able to get behind the premise of the show. Yes, I believe that people who have struggled to lose weight can benefit from personal training and major lifestyle changes. Sure, the power of competition can drive some people to work harder than they ever imagined possible. But, shame? Does shame really help people change their behavior? When I watched, I witnessed trainers shaming contestants, over and over, in different ways. I heard contestants talk about the shame they experienced as a part of being obese or overweight. The whole show was a shame-fest. Which made me extremely uncomfortable. Because, when it comes down to it, “The Biggest Loser” is a game show. And I just can’t watch people shamed into losing weight just to win a game show. Oh, wait, you’re right. It’s not just a game show. It’s a franchise. So, I guess what I really have a hard time with is people being shamed into losing weight to support a game show-Wii-resort-1,200 calorie-a-day diet franchise. Can you use shame or humiliation to change people or behavior? Yes and no. Yes, you can try. In fact, if you really want to zero in on an exposed vulnerability, you could actually see a swift behavior change. Will the change last? No. Is shame used very often as a way to try to change people? Yes, every minute of every day. “The Biggest Loser” gets exactly how to use shame to motivate people to make a “swift behavior change.” Body image - for people struggling with overweight and obesity, and for people at healthy or “normal” weights - is a tremendous source of shame. Obesity is even worse. I wouldn’t be the first to say that oppression - hatred, bullying, and discrimination against - overweight and obese people is one of the last acceptable oppressions in our society. Finally, the drama of the show revolves around shame. There’s a big reveal every episode, when viewers find out who won’t continue to compete to be The Biggest Loser. If contestants can’t lose weight within the show’s parameters (which include unhealthy weight loss practices, like dehydration), they get kicked off. So, the ideal of working with a supportive trainer goes out the window - and you are shamed, shamed, shamed into returning home, still fat, and, well, not a winner. A loser. Should a game show be allowed to promote unhealthy weight loss practices? What kinds of messages does the show send to young people about their worth and value? In what ways are people at a healthy weight influenced by “The Biggest Loser”? But, the most important to consider is this one: How much money is being made off of shame? 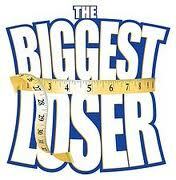 Related Posts : The Biggest Loser: Who's Really Winning?